Beets are high in vitamin C and fiber, making them a great addition to any meal. 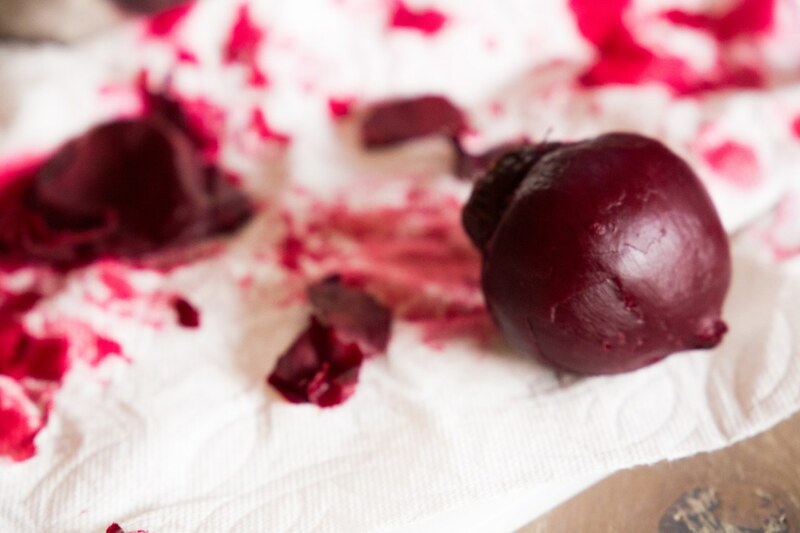 They can be tricky to cook correctly, so follow our guide to cooking perfect beets in your pressure cooker. I am a huge beet lover, so much so that anytime I hear someone say that they hate beets, I find myself feeling shocked and confused. Perhaps those people have only eaten beets raw? Perhaps those people have only eaten overcooked beets? Or worst of all, maybe those people have only eaten canned beets. The other issue with beets? Cooking them is a pain in the a**. My hands, cutting board, and favorite white t-shirt have been stained red on multiple occasions after cooking up a batch of beets. They also take a very long time (1 hour plus) to roast in the oven. Being the beet fanatic that I am, I had to come up with a method that would a) guarantee perfectly cooked beets every single time and b) prevent stains and c) not take an hour. The solution is to THROW 'EM IN THE PRESSURE COOKER! Which is basically my solution to everything, these days. 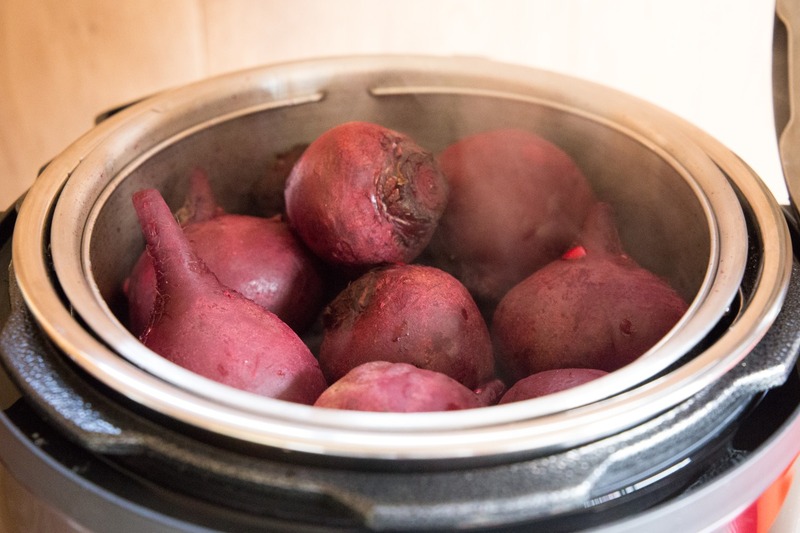 Here's my step-by-step guide to cooking perfect beets in your pressure cooker. My instructions yield soft, tender beets, so if you like yours with a little bit of crunch, take a few minutes off of the cook time. 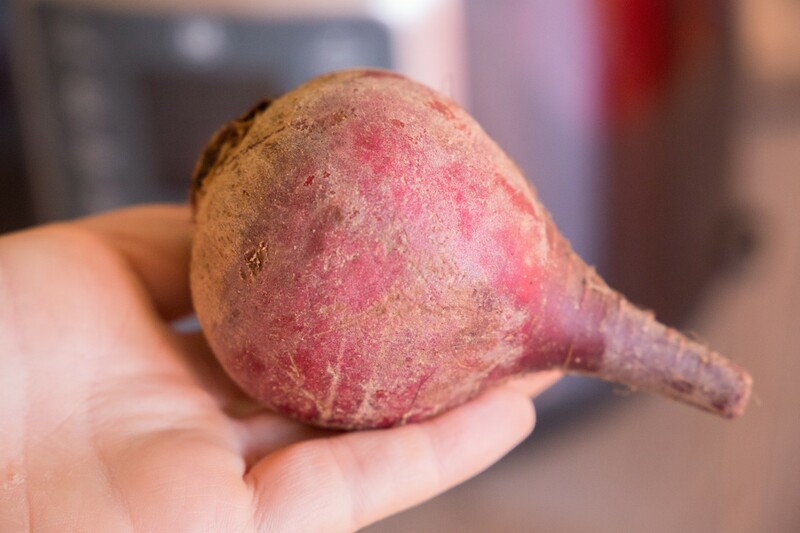 Start off by buying a pound or two of beets that are all about the same size. This is very important to cooking them properly! 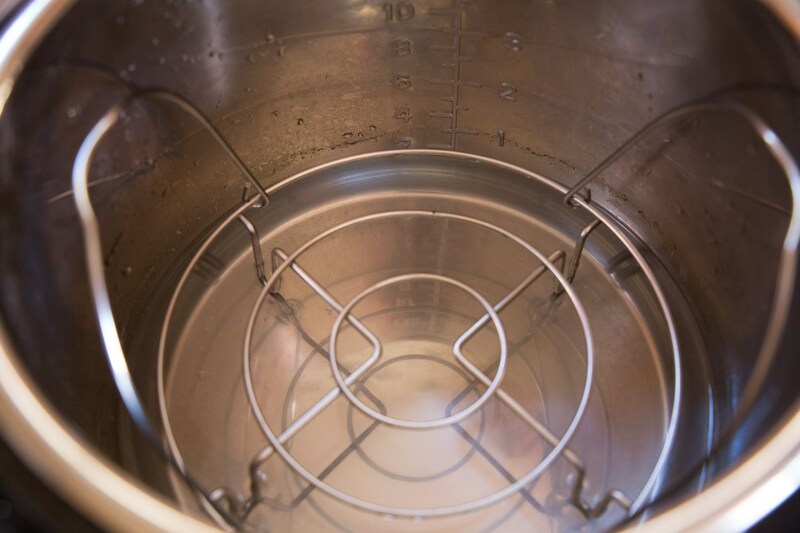 Add 2 cups of water to the inner pot of your pressure cooker. If you're using the Mealthy MultiPot, you can use the measurements on the inside of the pot to guide you. Place the trivet into your pressure cooker. 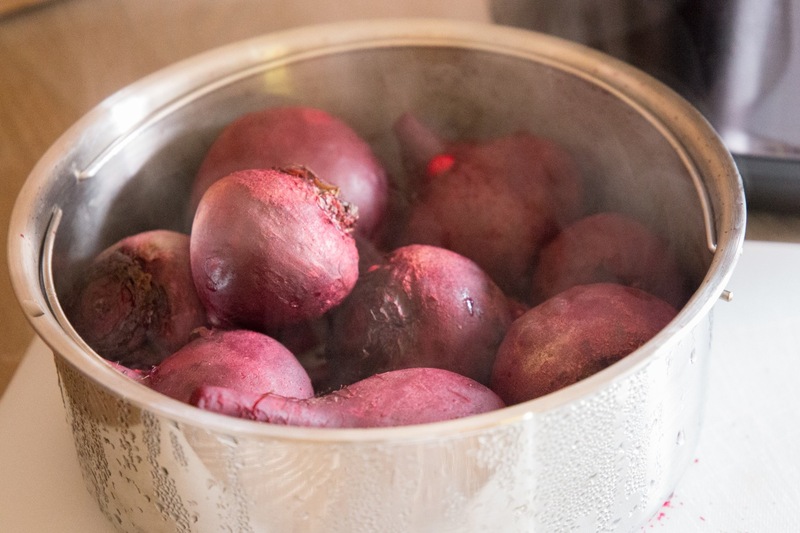 Place the beets in a steamer basket and set the steamer basket on top of the trivet. Using my method, there's no need to scrub or even peel your beets! OK, if there's a huge chunk of dirt hanging onto your beet, wash it off, but otherwise - you're good to go. If your beets are about the width of your palm, cook them on High for 25 minutes. Smaller than your palm? 20 minutes. Way smaller than your palm? 15 minutes. HUGE MONSTER BEETS? 30 minutes! There's not an exact science here, because no beet is made equal, but seriously, this palm-method will get you really close. And if you ever open your pot and decide that your beets are too hard, you can always throw them back in for a few minutes! Quick Release the pressure and open the lid. Transfer the steamer basket to a countertop and allow them to cool for several minutes. 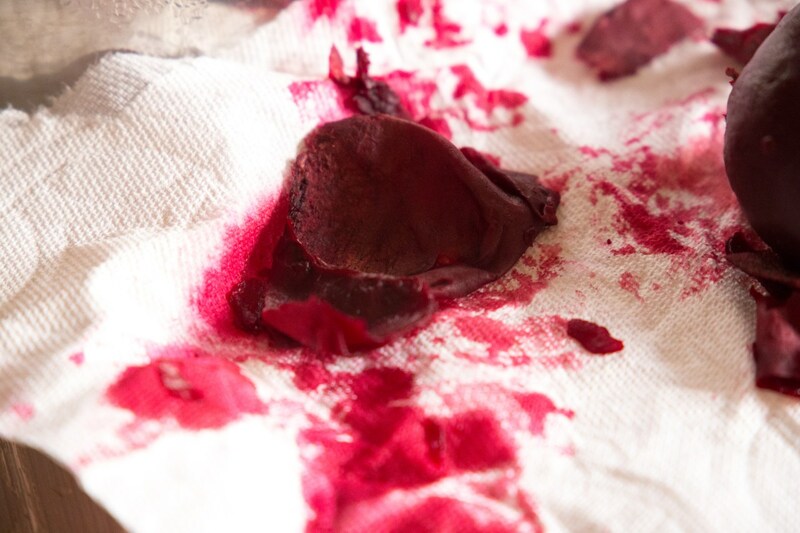 When they're cool enough to handle, use a paper towel or clean dish cloth to rub the skins off of each beet. The skins will slip right off! Keep going until you've rubbed the skins off all the beets. Now you can slice them, dice them, and chop them however you want! Toss them with orange segments and pistachios, drizzle with olive oil and balsamic vinegar, and top with crumbled feta for the easiest, most flavor-packed salad ever. Cut them into quarters and marinate with apple cider vinegar, maple syrup, and olive oil. A perfect side dish! Chop them up and add them to potato hash for extra nutrients and fiber in the morning. 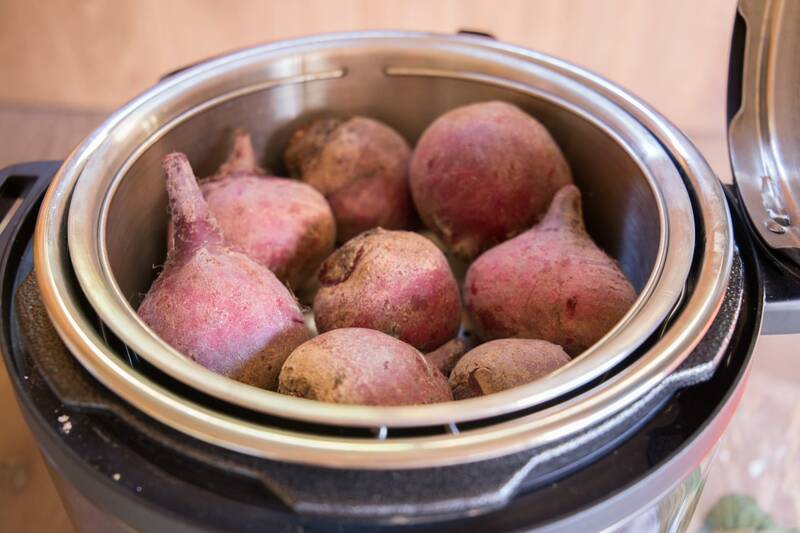 Check out the recipe page for Pressure Cooker Beets here.